Getting a good night’s rest is paramount to living a productive and healthy life. It’s important to choose a bed that fits your lifestyle and sleeping preferences. You also want a bed that’s comfortable to lounge in on the weekends. Choosing a bed is kind of like choosing a sofa. There’s so much to consider about this central and important piece of furniture that it can be quite stressful. Beds are often the focus of a bedroom because they are usually the largest piece of furniture that goes inside. Because we use them on a daily basis, we really can’t get away with making the wrong decision and just living with it, the way we can with an accent chair or side table. If you’re thinking about buying a new bed, then this article will help guide you through the process of selecting the right bed for your bedroom! The first step in your bed buying process is to determine whether you would like a bed or a headboard. Beds are great at ensuring a consistent style of design on the whole piece of furniture from the headboard to the feet. They sometimes require a bit more coordination for the installation and logistics. If you want to move a bed, it’s usually tougher because you would need to take it apart (if you can) and then move each part separately. Headboards will require an attaching a separate bed frame to hold the mattress. Headboards are easier to move around than beds. You can purchase a bed frame that hides underneath your mattress so that the headboard is the only item that you see around your bed. Relocating a headboard and bed frame is typically easier because all you have to do is detach the headboard from the bed frame itself. You can also change out your headboard pretty easily if you want to change the decor style of your bedroom! Beds are a bit more luxurious and give the bedroom a more complete look. 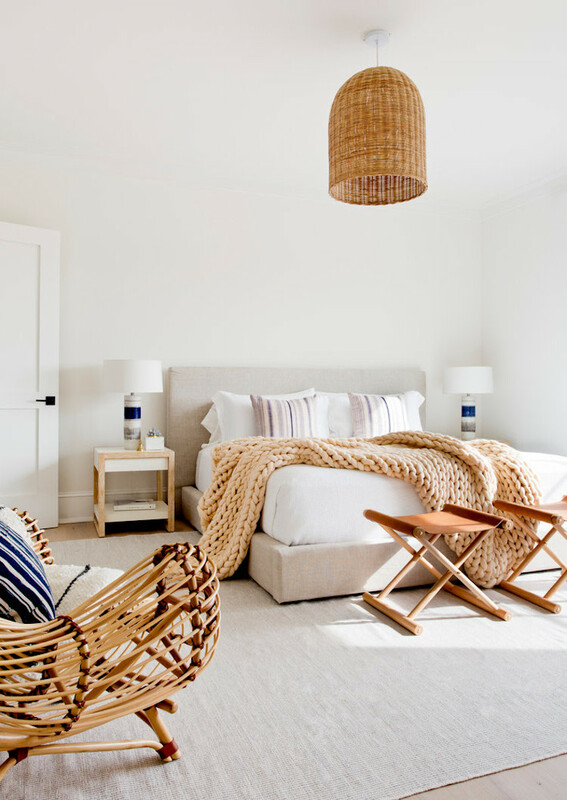 Some people opt for beds in their master bedroom, and headboards in the secondary bedrooms. Platform Bed: Platform beds are great because they don’t require a box spring. They come in a variety of styles to suit your bedroom decor theme. Platform beds typically sit very low off the ground so you’ll have to buy risers if you need room for storage underneath your bed. Because of their boxy nature, platforms are often associated with mid-century modern design. It is often made of wood and finished in a warm brown hue. Canopy Beds: Canopy beds are great for bedrooms with high ceilings. Canopy beds feature four poles at each corner of the bed connected by four beams. The beams are sometimes left bare and other times, sheer curtains are hung from them, giving privacy to the bed itself. Poster Beds: Poster beds, or four-poster beds are made with four poles at each corner. Poster beds date back to the 16th century. The posters at each corner are typically curved, giving them a traditional look. Sleigh Beds: Sleigh beds have a large, arched headboard and typically a smaller arched footboard. Modern sleigh beds are sometimes without the extra footboard. If you love the old-fashioned look of a sleigh bed, then be prepared to use the extra footage in your bedroom as these beds take up a lot of space! Trundle Beds: Trundle beds are great for creating an extra bed when you need one for guests. A trundle bed is simply a bed that has a pull-out bed underneath it. Murphy Beds: Murphy beds are great for guest rooms and small spaces. They are beds are stored vertically when not in use, and fold down from the wall when needed. Daybeds: A daybed is a twin sized bed that can double as a sofa. It works great in narrow rooms, as the long side of the bed is supposed to go against a wall. The headboard and footboard are the same height and do not touch any wall in most cases. Bunk Beds: Bunk beds are great for guest rooms and kids rooms. While the traditional bunk bed was built to accommodate children in two twin sized beds one on top of the other, these days you can find all sorts of bunk beds to suit your needs! You could find a bunk bed with a full-sized bed underneath or a twin sized bed rotated to form an L-shaped bed. Lofted Bed: The lofted bed is great for studios and small spaces. It is similar to the bunk bed, but instead of featuring a second bed on the lower level, it has either an empty space, or an attached desk. An iron bed is great for a farmhouse bedroom. They give a vintage appeal and look. They are also much easier to clean and take care of than a fabric headboard which tends to attract dust! Wood beds are great for mid-century and farmhouse bedrooms. The earthy brown colors can evoke an aura of warmth and calmness inside your bedroom. Many different fabrics can be used for beds and headboards. This could include velvet, cotton, or linen to name a few! Fabric beds and headboards are great for when you want a comfortable place to lean up against while sitting up in bed. Once you’ve decided on a bed, there are a few bed accessories you’ll need to consider purchasing. Box Spring: Box springs are commonly used for support and height for your mattress. They raise your mattress up so you are not getting in to bed at a very low height from the ground. Mattress: Of course, you can’t purchase a bed without thinking about the mattress you will put on it! Bed Sheets: Several sets of bed sheets will be necessary for your bed, as well. We recommend purchasing linen or cotton sheets for the spring and summer, and flannel sheets for the cold winters! Pillows: It’s a good idea to buy at least two pillows for each bed in your home! Under-bed Storage Bins: These are great for taking advantage of the space beneath your bed. You can store off season clothing and coats in these bins and free up some space in your closet! Bed Risers: If you have a low to the ground bed, you may wish to purchase risers to place beneath the feet and rise the bed up further above ground. I hope this post was helpful in your bed buying process! Let us know your thoughts in the comments and feel free to tag us on Instagram @curatedinterior with your final choice!